Sunburn is one of the most common problems that people suffer from especially during summers. When you go fishing or plan to enjoy your holiday with your family at a well-known beach resort, you increase your chances of getting sunburned. 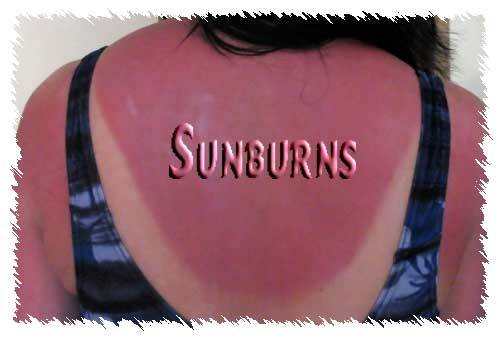 Even though sunburn is seldom fatal, people are known to suffer from serious problems because of sunburn. Also, people who suffer from sunburn in their adolescence or childhood are more like to develop melanoma later in life. Some women who suffer from sunburn may also suffer from excessive pain in their muscles and breast. Pain is muscle is usually caused when a person sweats a great deal when exposed to sun or during tanning. Usually the pain the muscles and breast will subside with time. However, if you still feel the pain after a few hours, it best you move to a cool area. Also, you can drink replacement fluids to compensate for the loss of moisture from the body. If the person who is affected by sunburn is not able to drink fluids because they are vomiting or suffer from nausea. If the person is suffering from more severe symptoms like vomiting, headache, fever and shortness of breath. The doctor will analyze the condition of the patient and will usually suggest IV fluid rehydration. However, if the doctor feels that condition of the patient is not serious they may suggest oral rehydration.